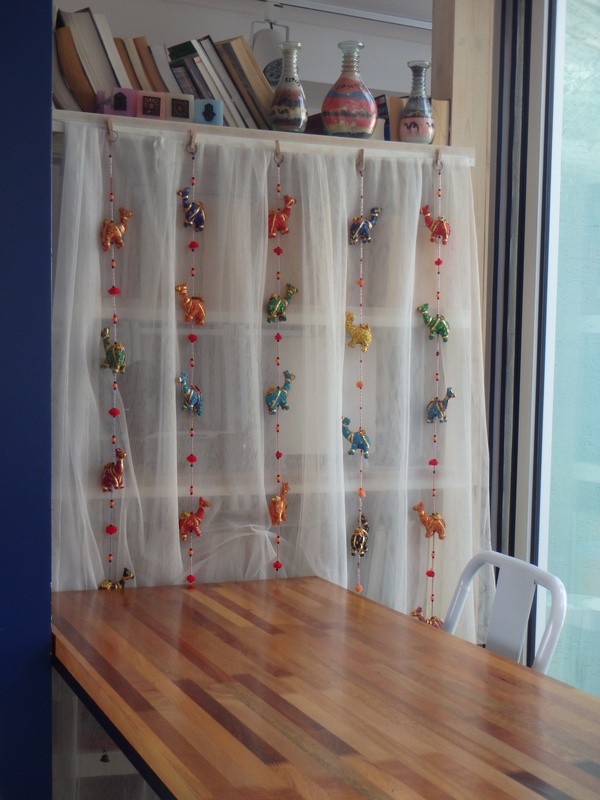 Friday we had the day off because it was Gaecheonjeol or National Foundation Day. 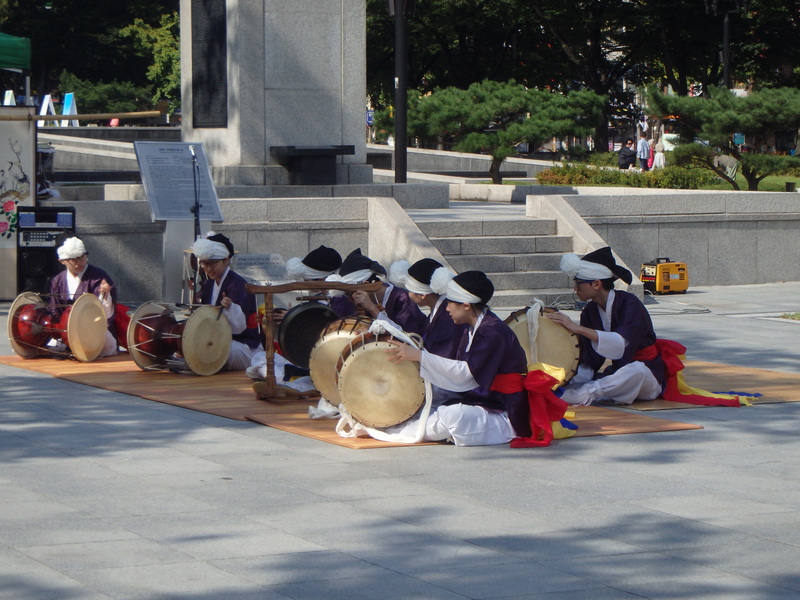 Gaecheonjeol celebrates the founding of ancient Korea which is believed to have been on the 3rd day of the 10th lunar month in 2333 BC. 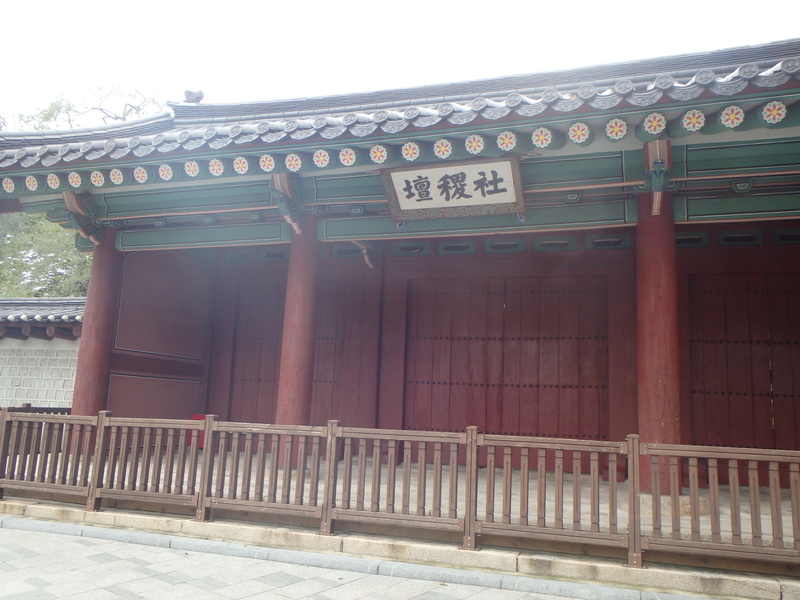 In that year Dangun Wanggeom established the kingdom of Joseon (now called Gojoseon to distinguish it from the later Joseon Dynasty). 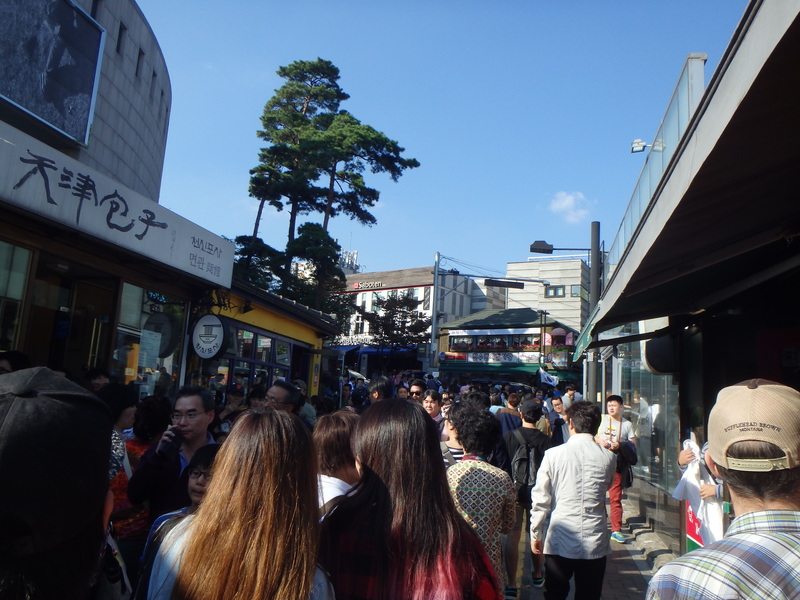 Gaecheon translates to “opening of heaven” and jeol means “great holiday.” (You might remember that back in August we celebrated Gwangbokjeol; jeol is used only for National Celebration Days.) Historically this holiday was celebrated according to the lunar calendar but it is now on October 3rd every year for the sake of convenience. 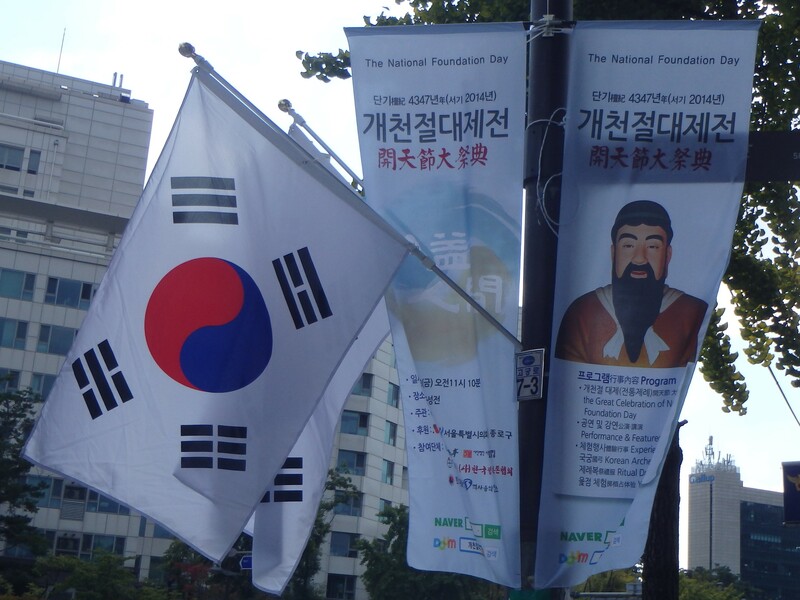 There is quite a myth behind Korea’s founding. Hwanin, the Lord of Heaven, had a son, Hwanung, who wanted to live on Earth. He descended from heaven with 3,000 followers to Mt. Taebaeksan. (There are many theories about which mountain this is in present-day Korea.) A bear and a tiger heard about Hwanung and came to him asking to become human. Hwanung told them he would transform them if they could live in a cave for 100 days and eat only garlic and mugwort. The tiger became restless and left the cave. 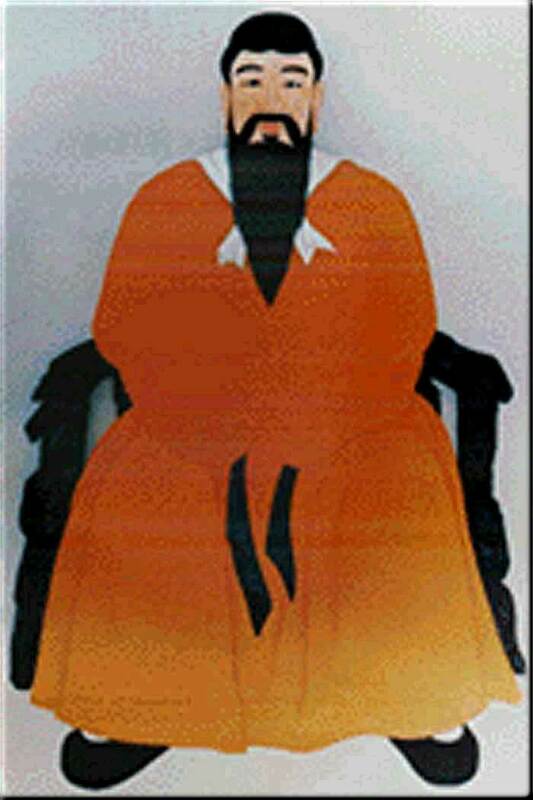 The bear, however, stayed the entire 100 days and was rewarded by being turned into a woman. She was called Ungnyeo which means Bear-Woman. 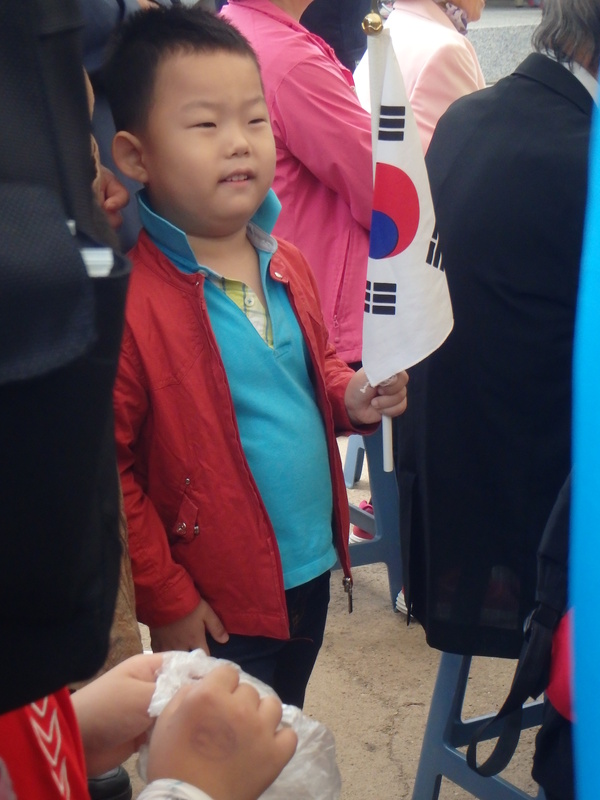 Ungnyeo could not find a husband and wanted a son very badly. She prayed to Hwanung and he was so moved by her prayers that he decided to mate with her himself. 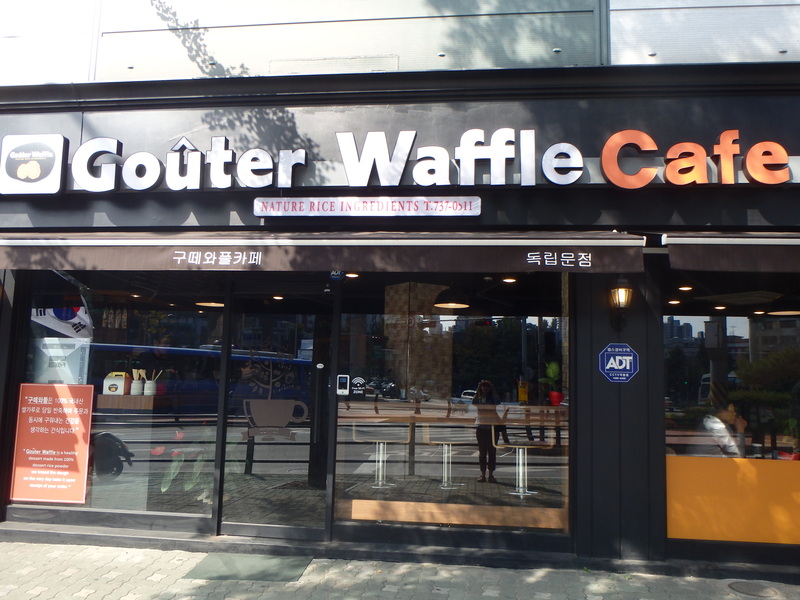 Their son was Dangun Wanggeom. 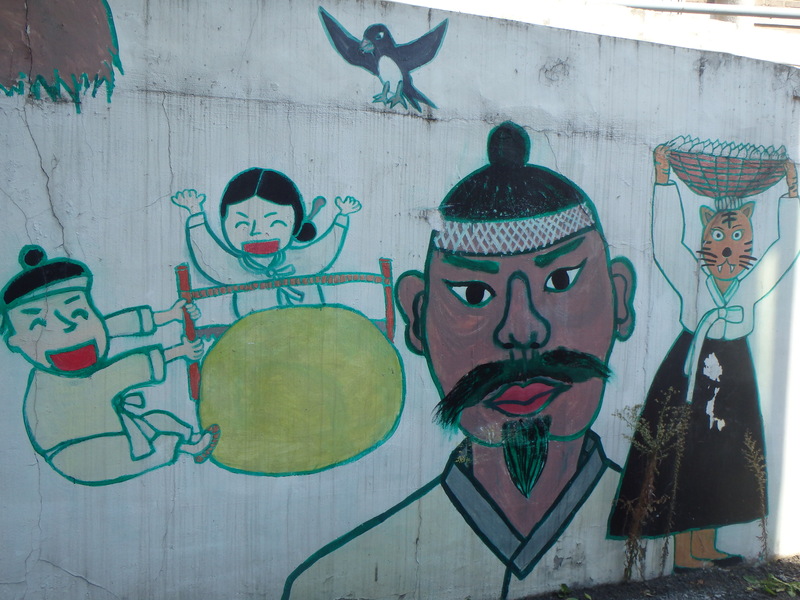 Dangun founded the first kingdom of Korea and established a capital near what is now Pyongyang. 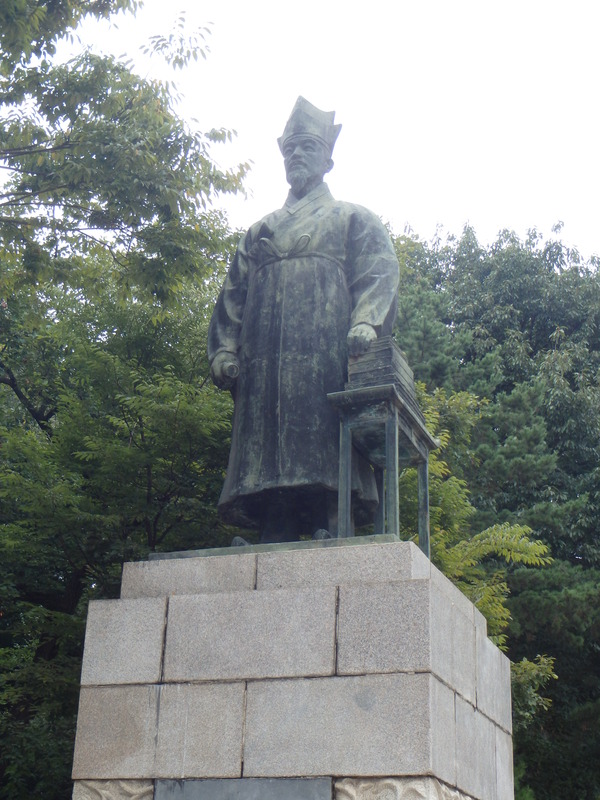 He named it Joseon which means “Land of the Morning Calm.” Dangun is said to have ruled for 1,500 years and then at the age of 1,908 he became an immortal mountain spirit. 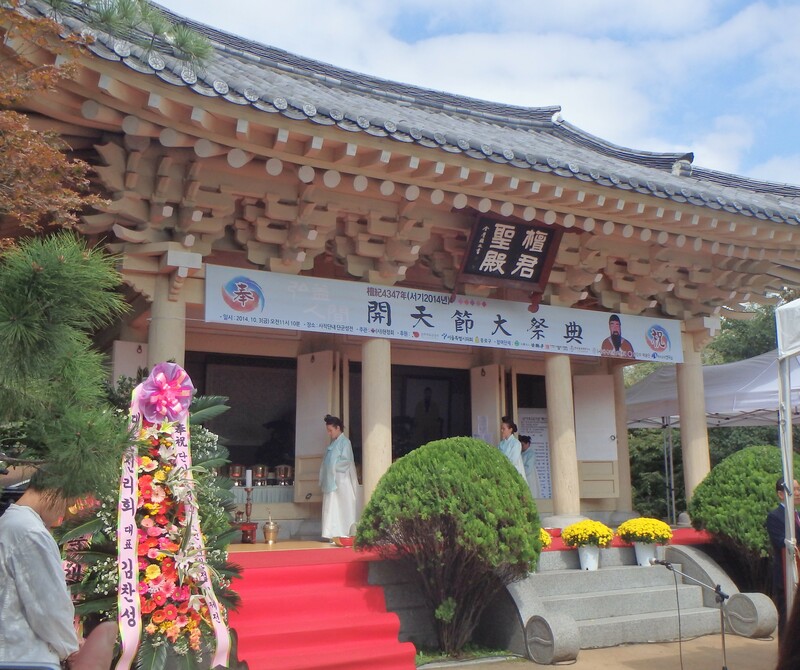 I had read in our guidebook that every year on October 3rd there was a Neo-Confucian ritual at the Dangun shrine in Sajik Park. It was quite difficult for me to find out when the ritual would begin but eventually I read on someone’s blog that it had begun at 11am when they attended a few years ago. So Zach and I ventured over there on Friday morning to check it out. We arrived around 10:50 and the ceremony began at 11:10. Unfortunately because of the way the tents were set up to shield people from the sun or rain (?) we couldn’t see terribly well. The ceremony was quite dull. 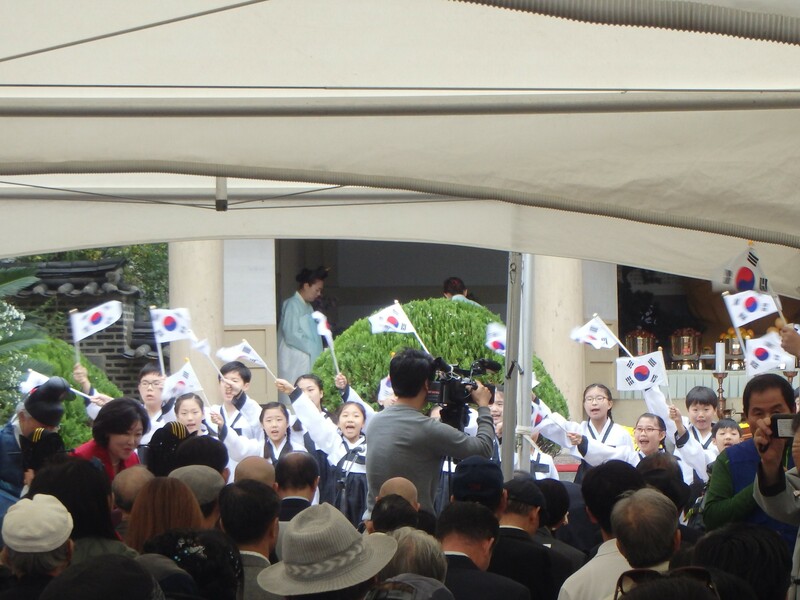 Several people spoke for what felt like ages (possibly more so to us since we don’t speak Korean) and then the actual ritual began which mostly involved a lot of bowing and chanting. I was actually approached by a reporter and she spoke with me for quite some time. Eventually she went to get her camera man and thankfully, never came back! It was certainly an interesting site to witness but I think we could have better appreciated it with a little more interpretation. 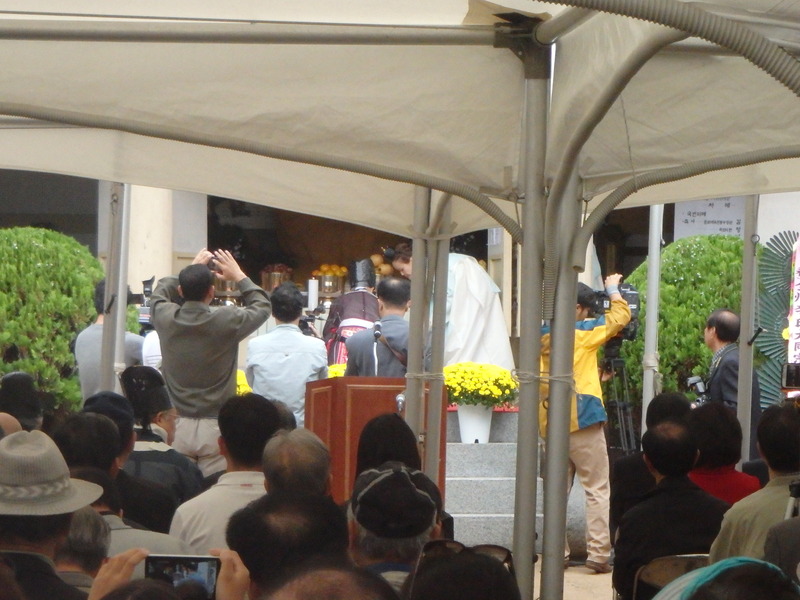 We left the shrine after the ritual ended even though there were many more activities planned throughout the day. 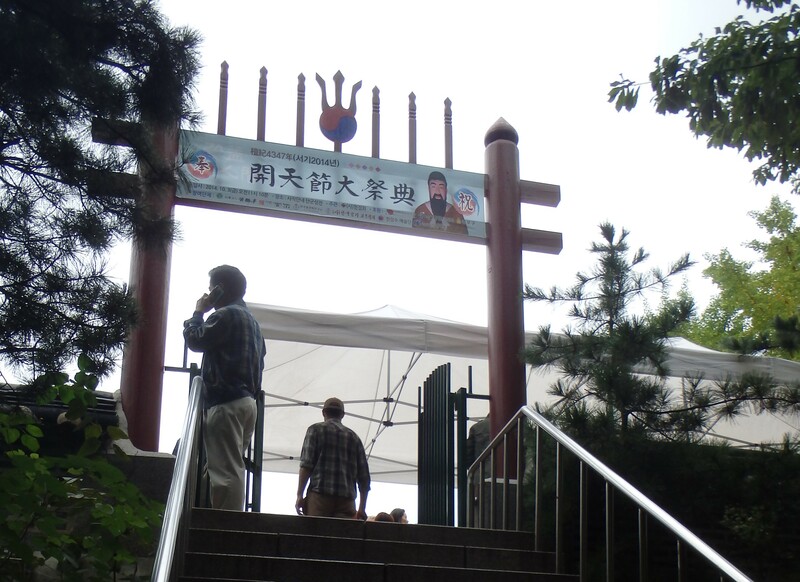 At the bottom of the steps there were two statues -Yulgok and Shin Saimdong. 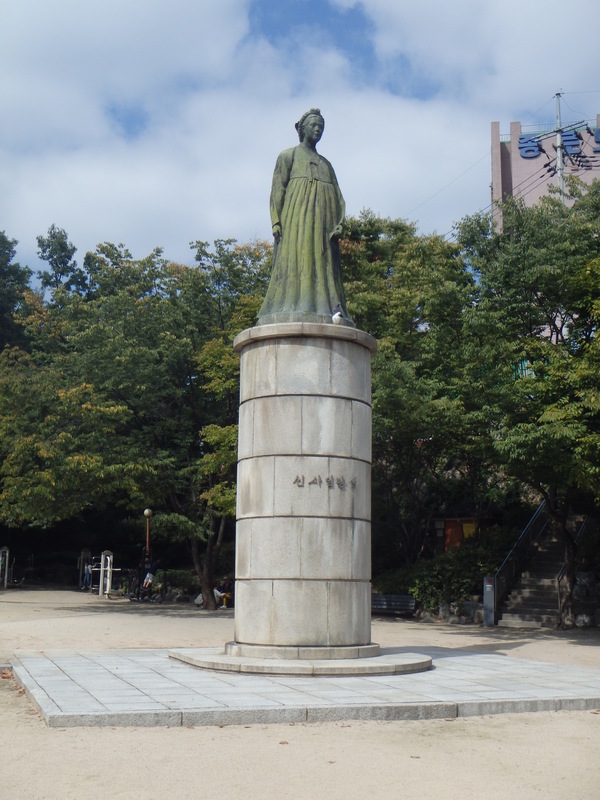 Yulgok was a famous Confucian scholar and Shin Saimdong was his mother. There is a lot more to write about these two so I’ll save their history for a separate post. Stay tuned! 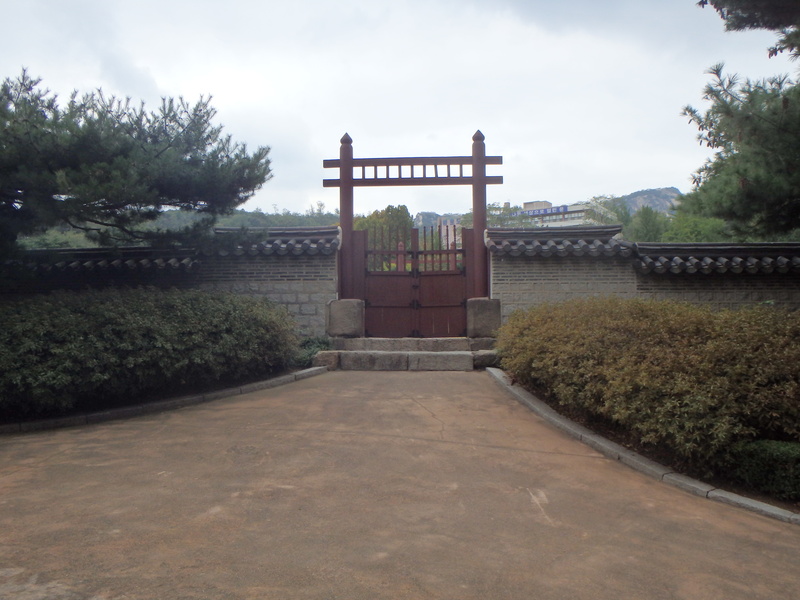 We walked back through Sajik Park, or Sajikdan, which is an important reminder of Korea’s agrarian past. 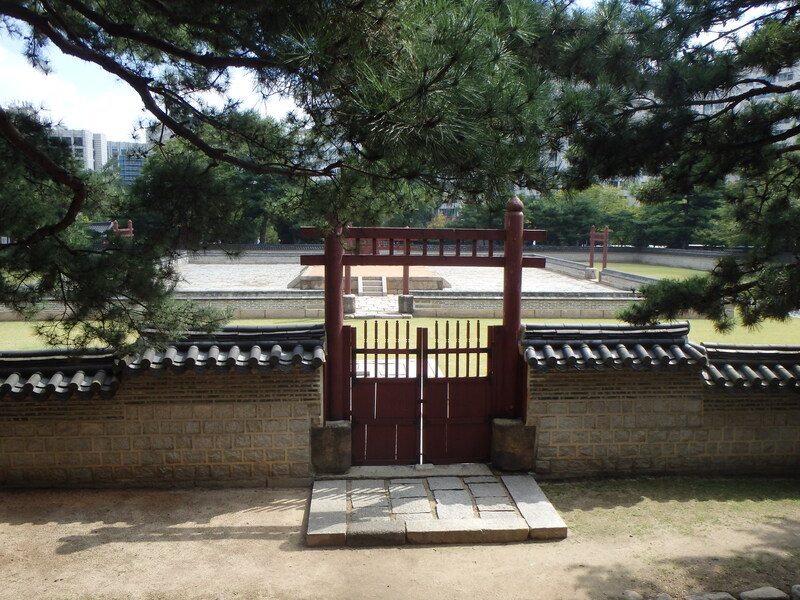 When the capital was moved to Seoul in 1395 by King Taejo, he had two shrines built on either side of Gyeongbok Palace – Sajikdan to the west and Jongmyo to the east. Sajikdan means “altars for the gods of land and grain” and was where sacrificial rituals to those gods were performed. 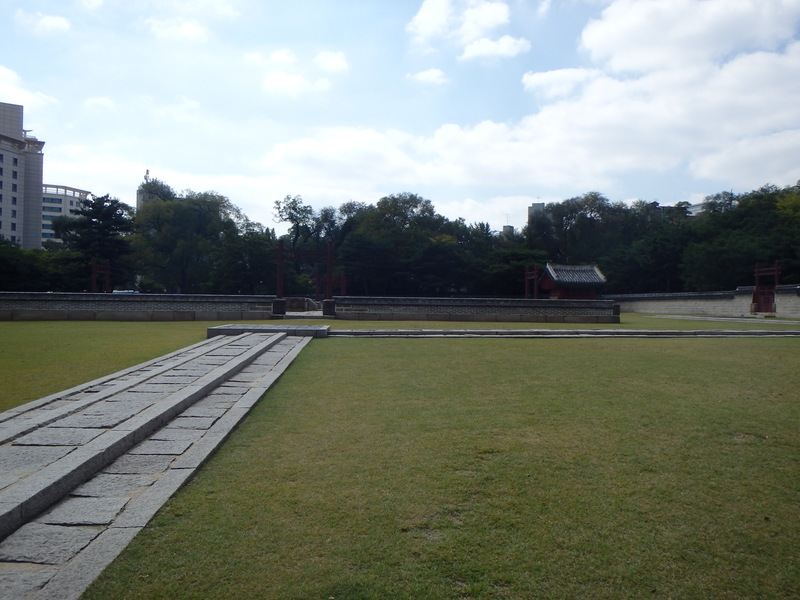 When Japan occupied Korea in 1910, the rituals were forced to cease and the buildings were removed. 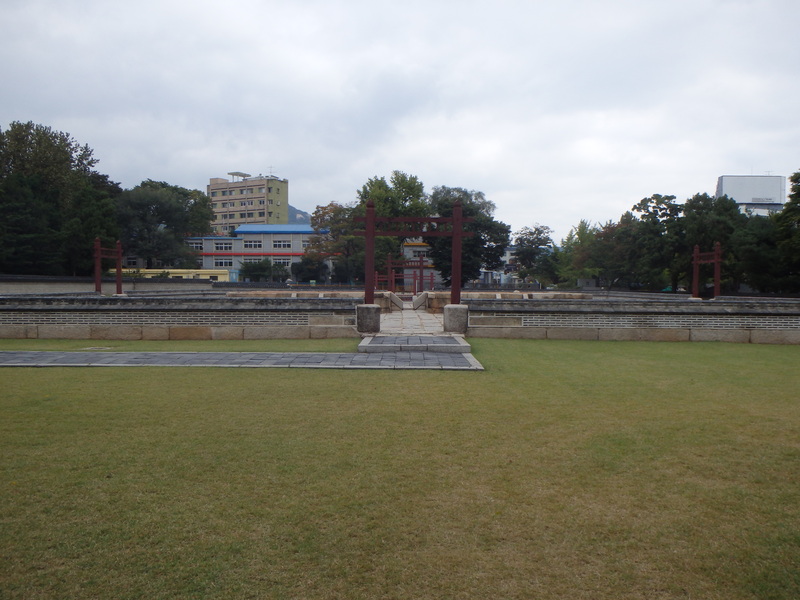 They turned the area into a park leaving only the two altars – Sadan and Jikdan. In the 1980s the buildings were restored and in 1988 the ritual began again. 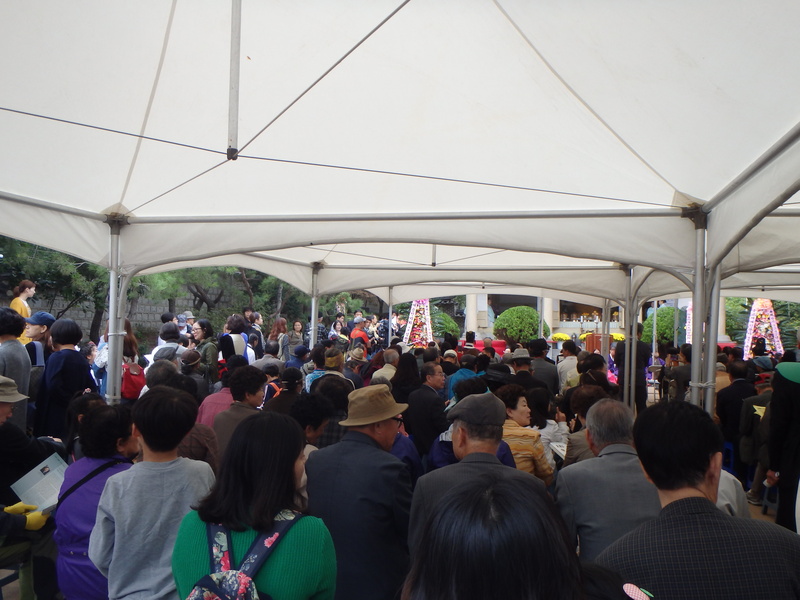 It is performed once every year on the third Saturday in September. 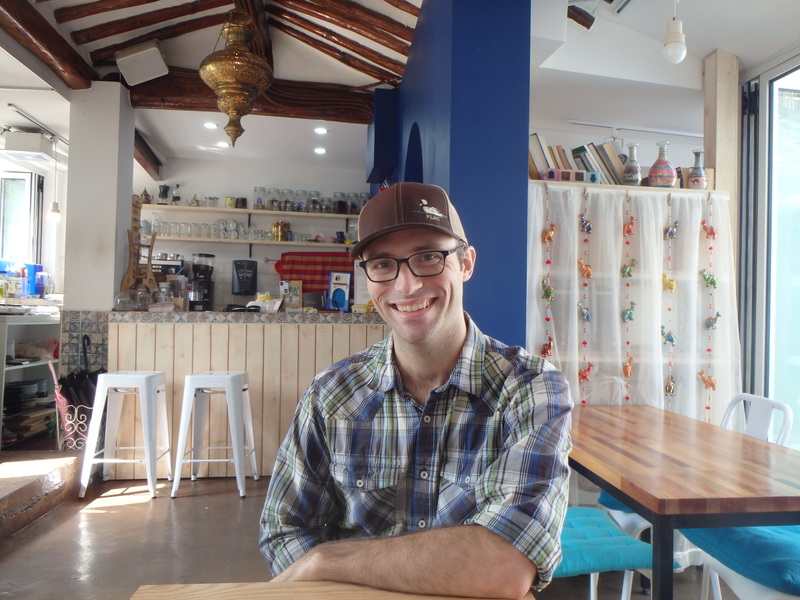 We left Sajikdan in search of some coffee and ended up not too far away at a cute coffee shop that specializes in Middle Eastern coffees. 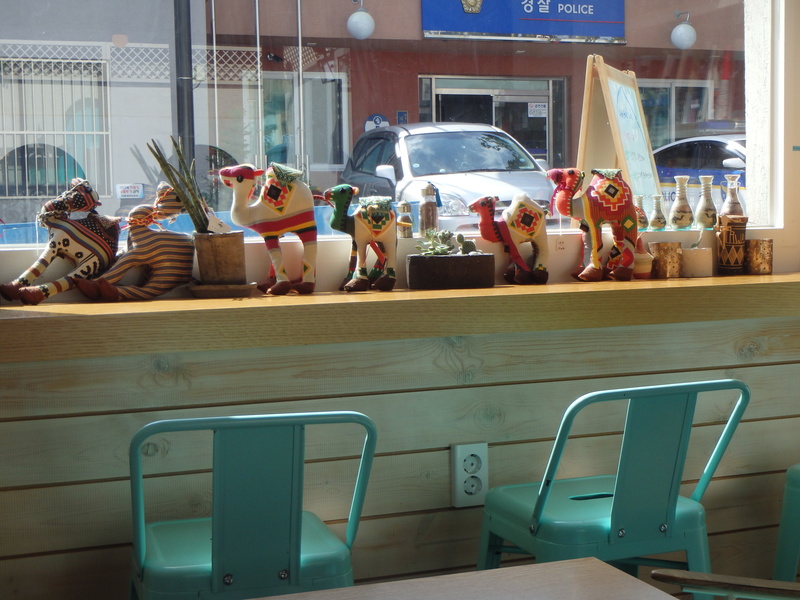 It was a cozy place with beautiful light shining through the windows. 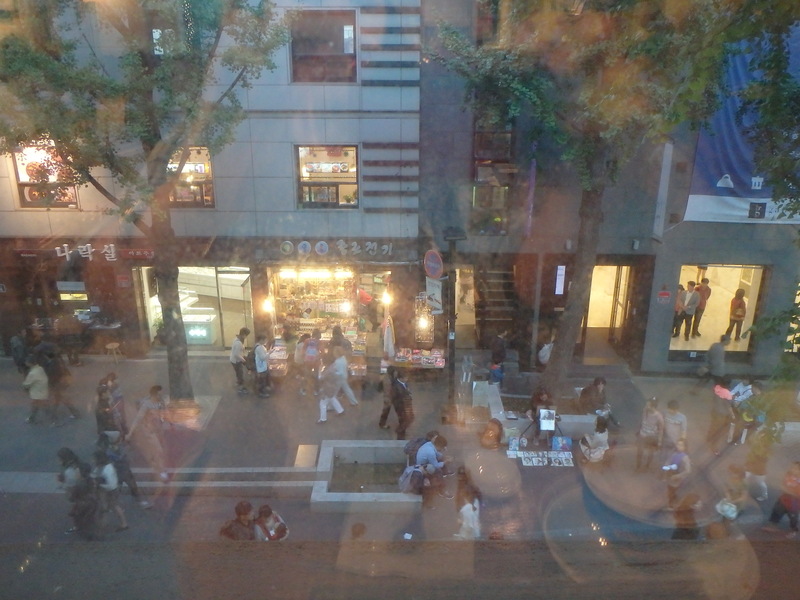 We sat around for a while planning our next move and decided to walk toward Seodaemun for a possible hike. With no real plans we enjoyed wandering around and stopping when we pleased. 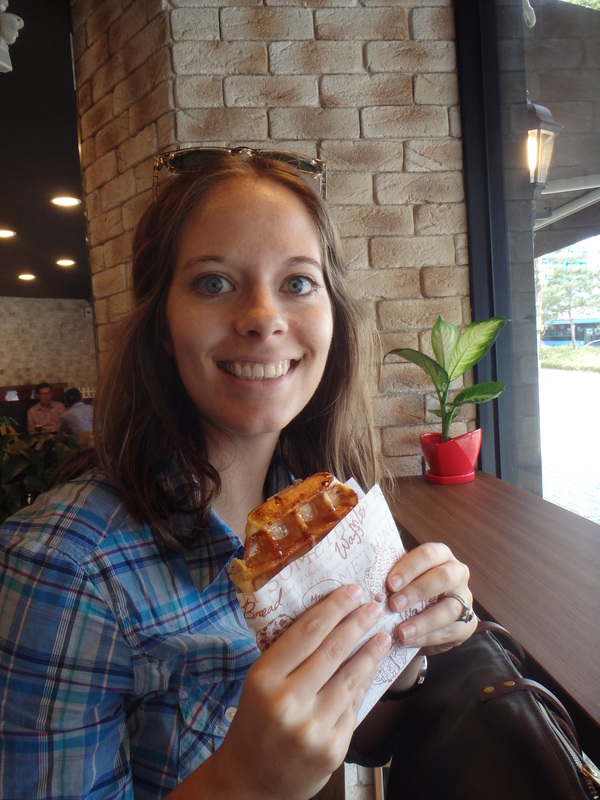 We passed a waffle shop and decided to try it out – delicious! 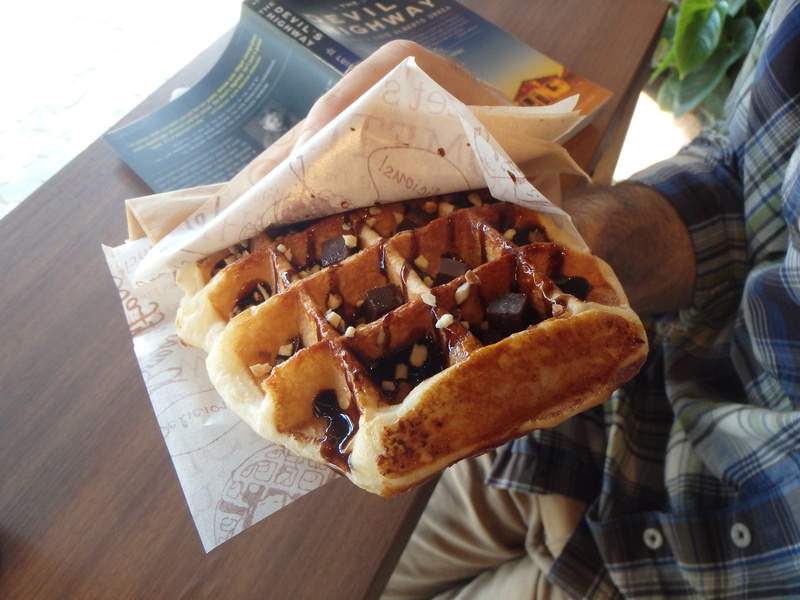 I went classic with a maple waffle – excellent! 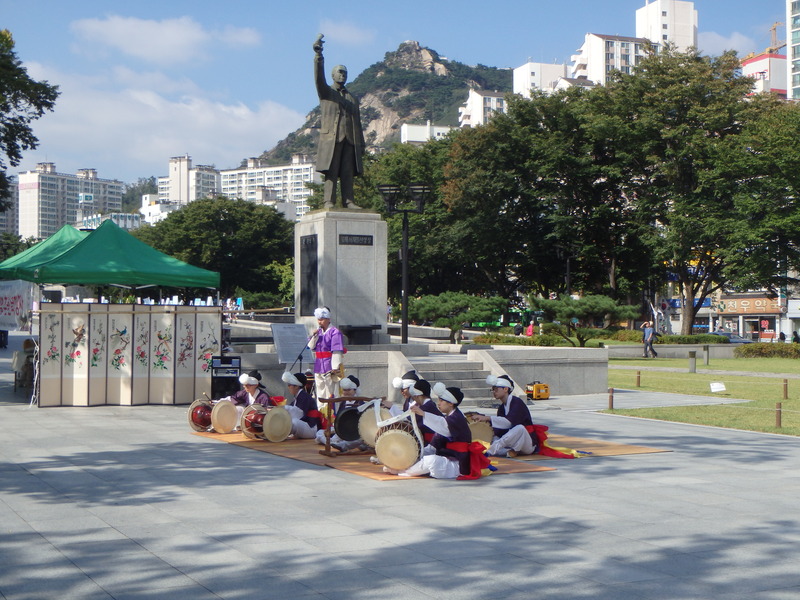 Then we stopped in Independence Park to watch a drum performance. We were surprised to see such young players! Keepin’ the tradition alive! 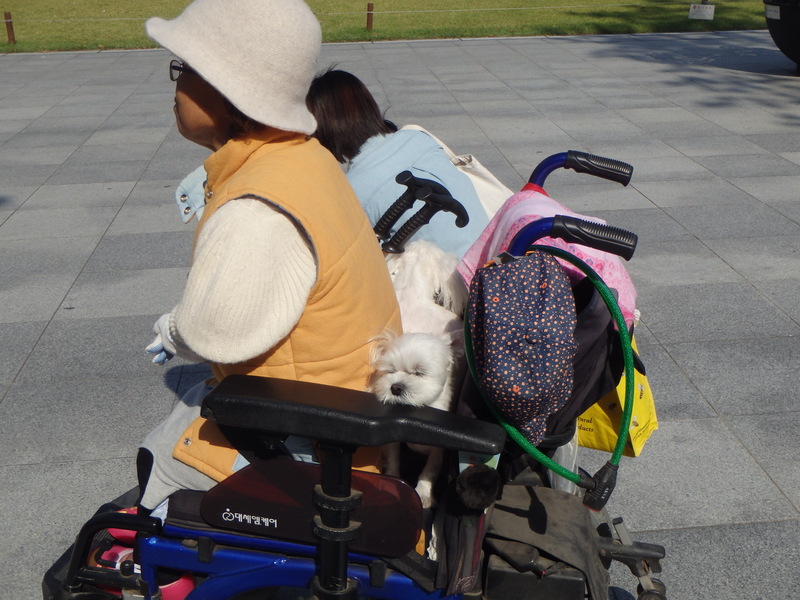 A fellow observer – she had TWO dogs in the back of her wheelchair! 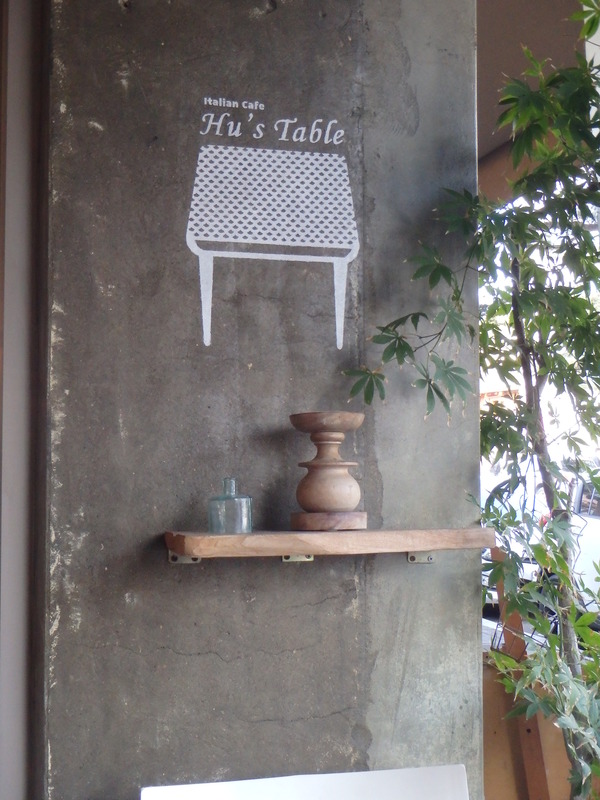 We eventually aborted our plans for a hike and hopped over to Anguk to roam around and find some lunch/dinner. 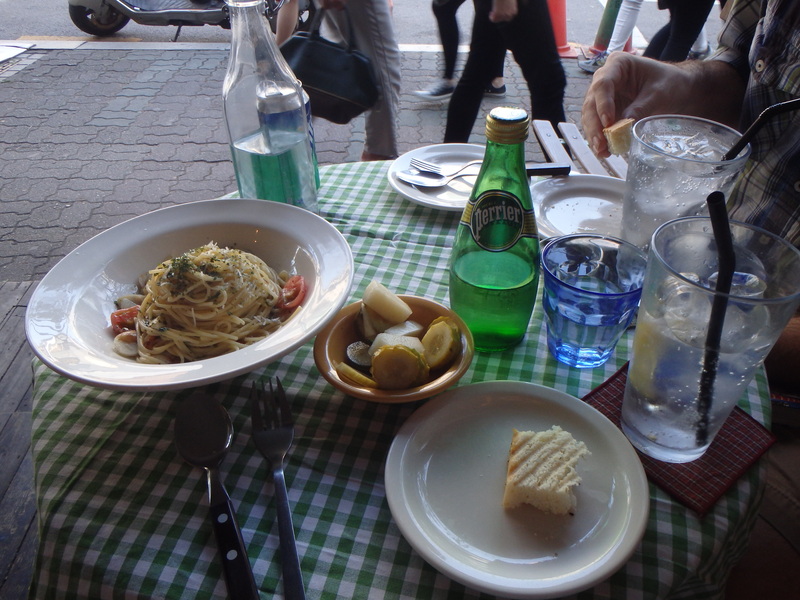 We ended up at a quaint Italian place with good food, although it was surprisingly spicy. 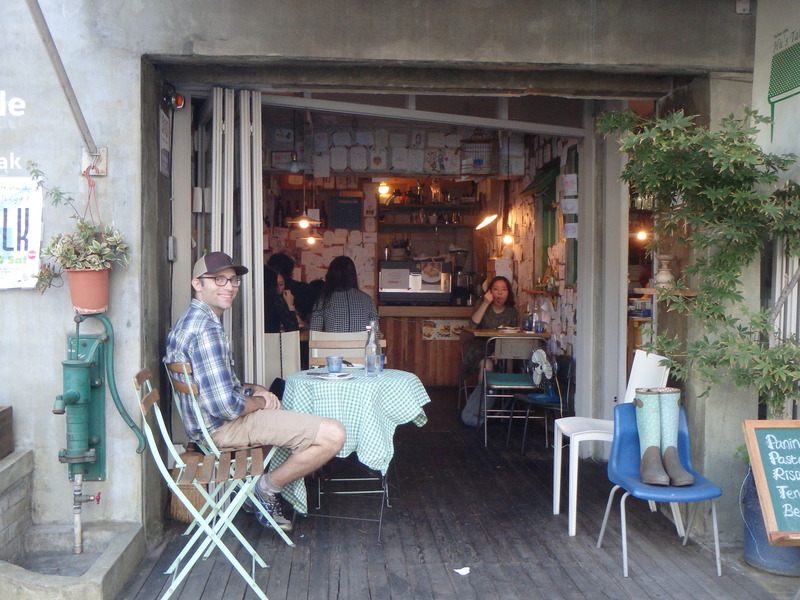 Then we walked over to Insa-dong to enjoy a cup of tea and a coffee at And Here Gallery and Cafe before going home. 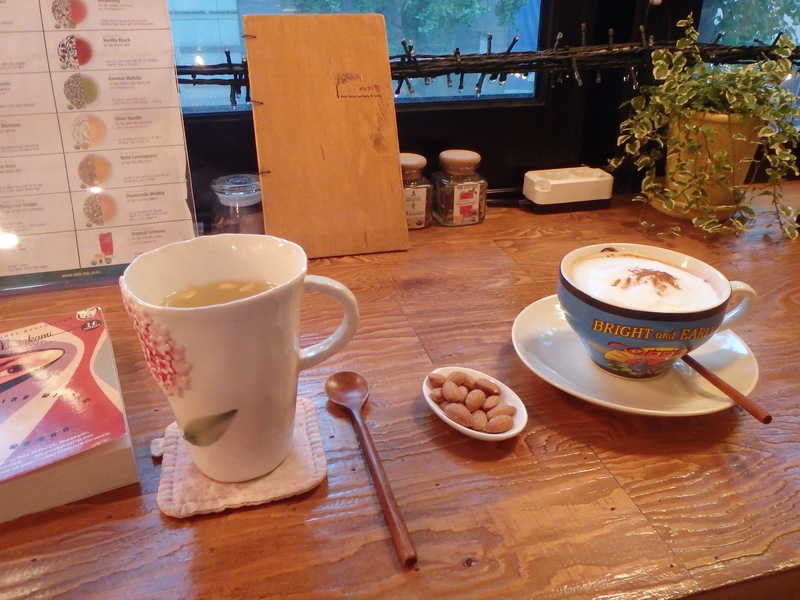 It was a tiny but warm cafe with some traditional Korean teas. 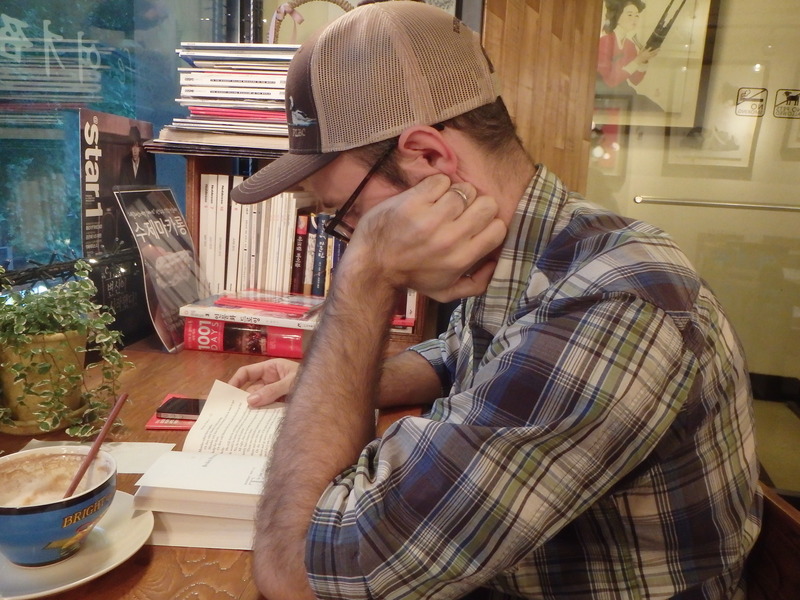 I tried a yuja-cha which is tea made with yuja, a citrus fruit, and a little sugar. As I understand it, it’s sort of like putting marmalade into hot water. 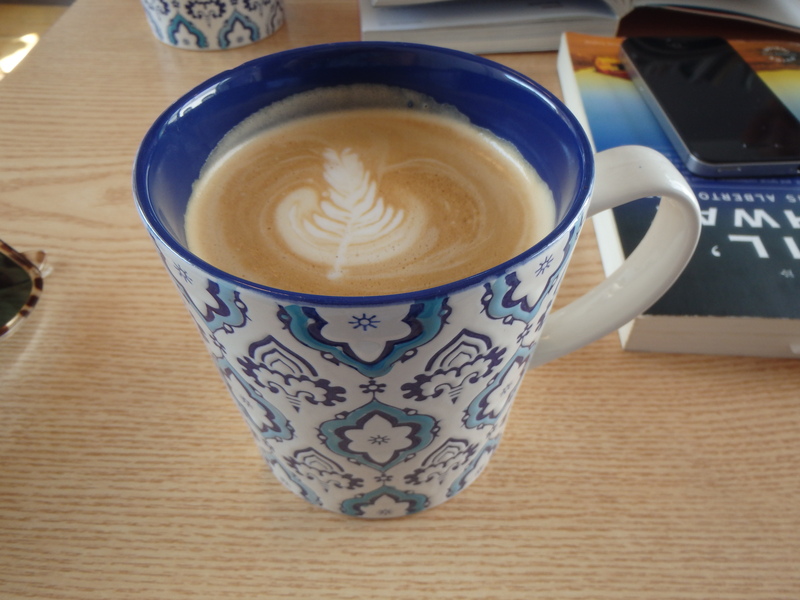 It was really good though – I would definitely get it again.